Whether you're looking to clean your business or home, keeping your premises pristine will help to guarantee that your visitors always arrive with the perfect first impression. 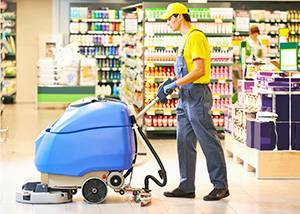 We know that it can often be difficult to find the time in your life to dedicatedly pay attention all the little details of which floor cleaning equipment to invest in. Lucky for you that we're here to make sure you always get the best floor cleaning equipment in Derby. Our equipment, services, and three decaces of industry experience ensure that we can easily meet any cleaning challenge you might have. We take great pride in both our skills and our wares, so we're proud to say that we are able to offer all our customers the finest floor cleaning equipment in Derby. To see our full range of floor cleaning equipment, check out our store - it's full of cleaning products, from detergents to heavy-duty pressure washers. You can find more information on all of our cleaning services by exploring the rest of our website. Here at Britclean Ltd we have a dedicated team of staff who are committed to our goal of giving you the best floor cleaning equipment in Derby. For any questions, queries, or even a quote - get in touch.